Josh Peckler - Jpeckler@shawmedia.com Prairie Ridge quarterback Brent Anderson (22) jumps to avoid a tackle by Crystal Lake South's Dennis Gardeck during the second quarter at Prairie Ridge High School Friday, September 28, 2012. 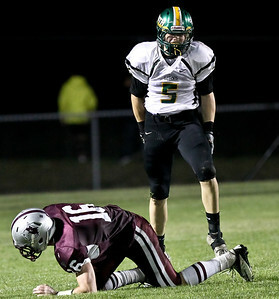 Josh Peckler - Jpeckler@shawmedia.com Crystal Lake South's Dennis Gardeck (5) celebrates bringing down Prairie Ridge's Sean Folliard on a kickoff return during the second quarter at Prairie Ridge High School Friday, September 28, 2012. Josh Peckler - Jpeckler@shawmedia.com Crystal Lake South's Zevin Clark finds a hole in the Prairie Ridge defense while running the ball during the second quarter at Prairie Ridge High School Friday, September 28, 2012. 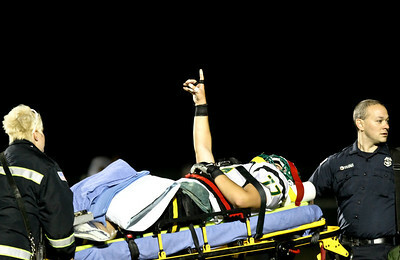 Josh Peckler - Jpeckler@shawmedia.com Crystal Lake South's Vinny Atella puts his hand in the air after being taken off the field on a stretcher by paramedics during the first quarter at Prairie Ridge High School Friday, September 28, 2012. Josh Peckler - Jpeckler@shawmedia.com Prairie Ridge's Ross Carpenter runs the ball against Crystal Lake South during the second quarter at Prairie Ridge High School Friday, September 28, 2012. 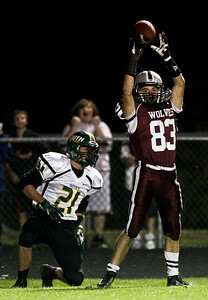 Josh Peckler - Jpeckler@shawmedia.com Prairie Ridge's Ross Carpenter holds up the football after making a catch in front of Crystal Lake South's Brandon LaPak (21) during the first quarter at Prairie Ridge High School Friday, September 28, 2012. 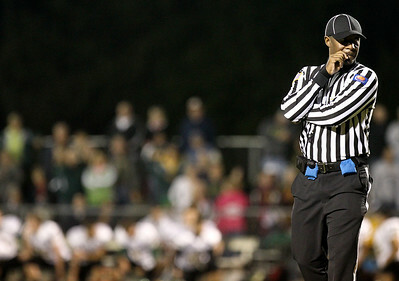 Josh Peckler - Jpeckler@shawmedia.com A referee looks on as Crystal Lake South's Vinny Atella is attended by paramedics after getting injured during the first quarter at Prairie Ridge High School Friday, September 28, 2012. 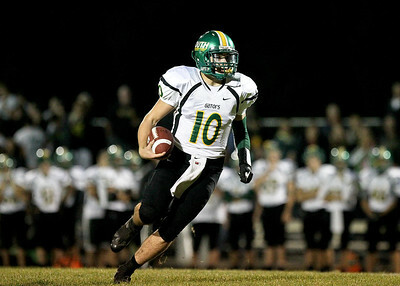 Josh Peckler - Jpeckler@shawmedia.com Crystal Lake South quarterback Austin Rogers runs the ball against Prairie Ridge during the second quarter at Prairie Ridge High School Friday, September 28, 2012. 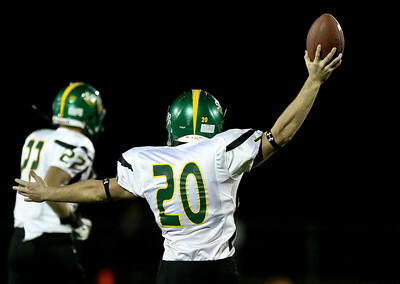 Josh Peckler - Jpeckler@shawmedia.com Crystal Lake South's Mitch Perik holds up the football after recovering a fumble during the first quarter at Prairie Ridge High School Friday, September 28, 2012. 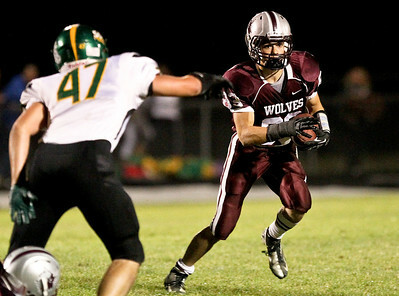 Josh Peckler - Jpeckler@shawmedia.com Prairie Ridge's Danny Meikel runs the ball against Crystal Lake South during the second quarter at Prairie Ridge High School Friday, September 28, 2012. Josh Peckler - Jpeckler@shawmedia.com Prairie Ridge quarterback Brent Anderson (22) throws a pass during the second quarter against Crystal Lake South at Prairie Ridge High School Friday, September 28, 2012. Josh Peckler - Jpeckler@shawmedia.com Prairie Ridge's Ross Carpenter (83) attempts to tackle Crystal Lake South's Corbin Pennino after he intercepted the ball during the second quarter at Prairie Ridge High School Friday, September 28, 2012. 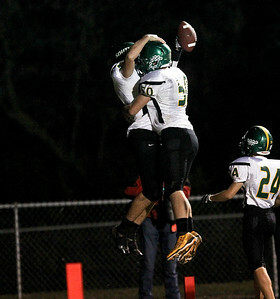 Josh Peckler - Jpeckler@shawmedia.com Crystal Lake South's Pat Walsh (50) celebrates with quarterbackAustin Roger's after he scored a touchdown during the first quarter at Prairie Ridge High School Friday, September 28, 2012. 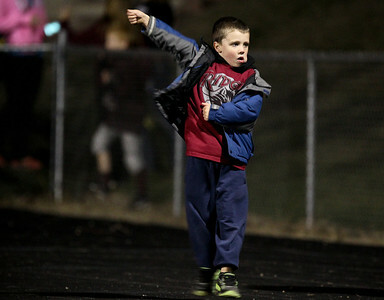 Josh Peckler - Jpeckler@shawmedia.com Andy Koeppen, 5 of Crystal Lake dances to the music prior to the start of a football game between Prairie Ridge and Crystal Lake South at Prairie Ridge High School Friday, September 28, 2012. Prairie Ridge's Ross Carpenter (83) attempts to tackle Crystal Lake South's Corbin Pennino after he intercepted the ball during the second quarter at Prairie Ridge High School Friday, September 28, 2012.